As a child, I didn’t get a chance to learn about my curly hair. My mother relaxed my hair when I was seven years old, so straight hair was all that I knew for very long time. I grew up not knowing that my hair could return to its curly state. It wasn’t until I was an adult that I learned about natural hair and transitioned back to natural. Being a mom of a daughter with curly hair, it’s important to have books that show familiar images of curly girls. I want my daughter to embrace her curls and to understand that hair is beautiful in all of its forms. 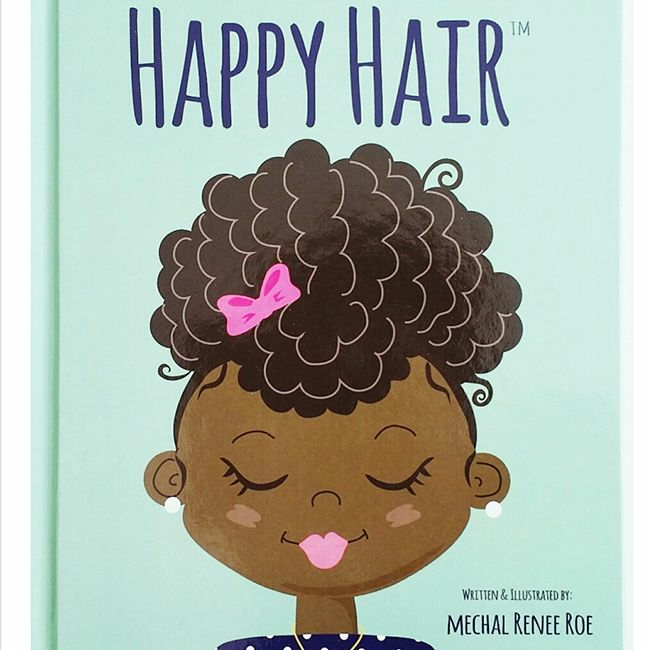 Books that show curly characters are a great for reinforcing positive images of curly hair and these would make great stocking stuffers. Curlee Girlee by Atara Twersky is a story about a girl who wants her hair to be like everyone else’s. She wants her hair to grow long like spaghetti down her back, not sideways and curly like her hair grows. She tries so many ways to look like everyone else but nothing works. Curlee Girlee finally realizes that her hair is fine just the way that it is and that she doesn’t need to look like everyone else. 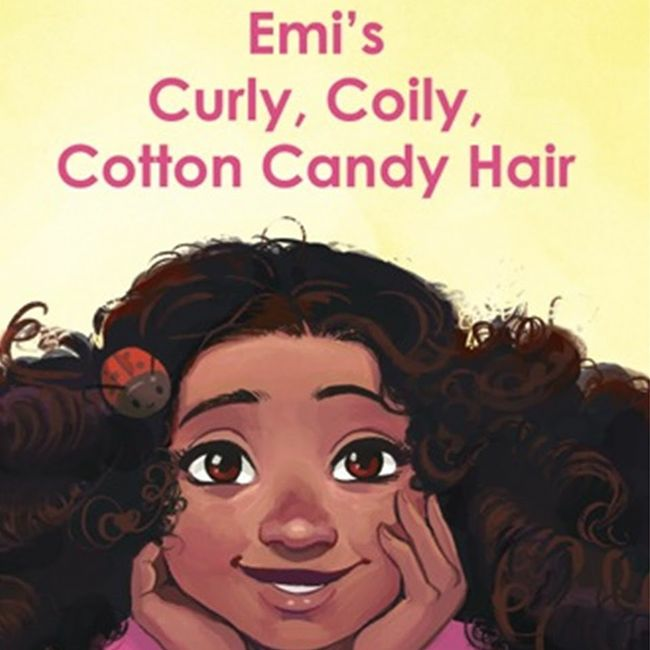 This story by Tina Olajide is about Emi, a 7-year-old girl who shares a positive message about her curly, coily, cotton candy hair and what she likes most about it. The fun story teaches basic natural hair care tips and techniques in a playful and memorable way. 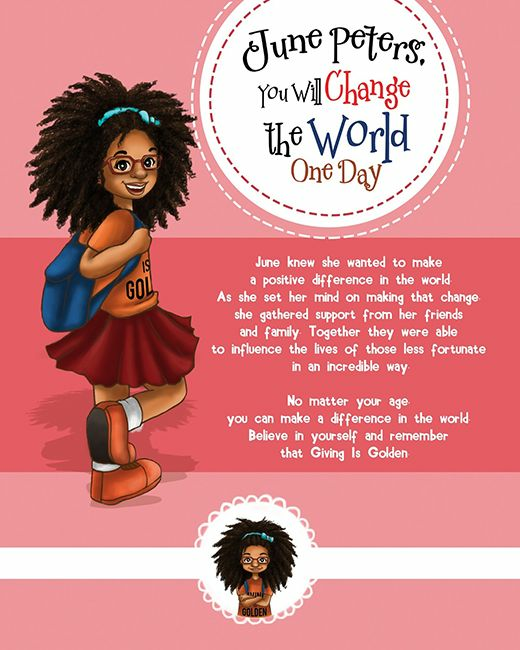 This story is about Penny by Alonda Williams, a girl who wanted to wear her hair "down" like all of the other girls in her class. Penny wondered why her friends had long straight hair and she did not, which made her feel sad. Penny's mom decides to style her hair in magical puffballs. 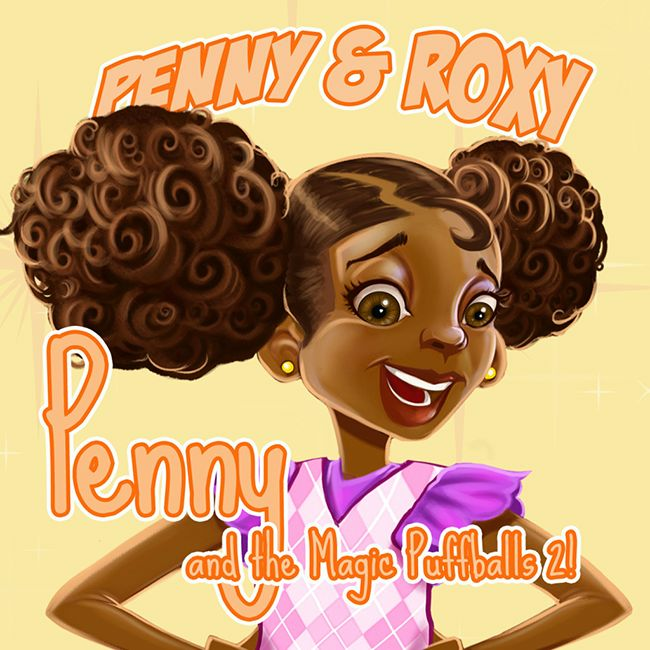 In the story, Penny learns through a series of fun adventures where wonderful and magical things happen when she wears her puffballs. 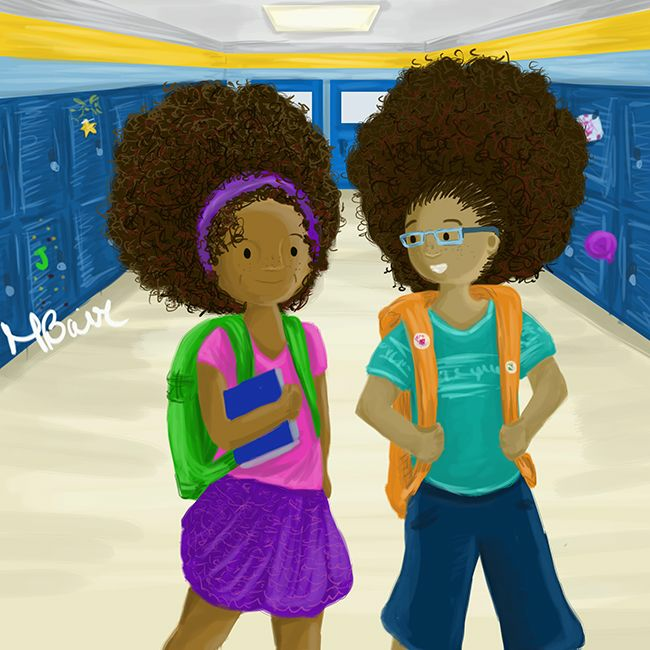 This rhyming picture book by Crystal Swain- Bates is about a girl named Lola who has huge hair. Her hair causes her to lose at hide and seek and blocks the view of anyone who sits behind her. This book is designed to boost self-esteem and build confidence. It’s perfect for any girl or boy who has ever felt self-conscious about their hair and may need a reminder that it's okay to look different. This story is about June Peters, a 10-year-old girl who has a very giving heart. June is determined to make a difference in the world and she will do whatever it takes to do that. June learns a valuable lesson about talking to strangers. She’s a naive young girl who does not understand why her act of kindness makes some people happy but also worries her parents. This story encourages children and adults help those in need. 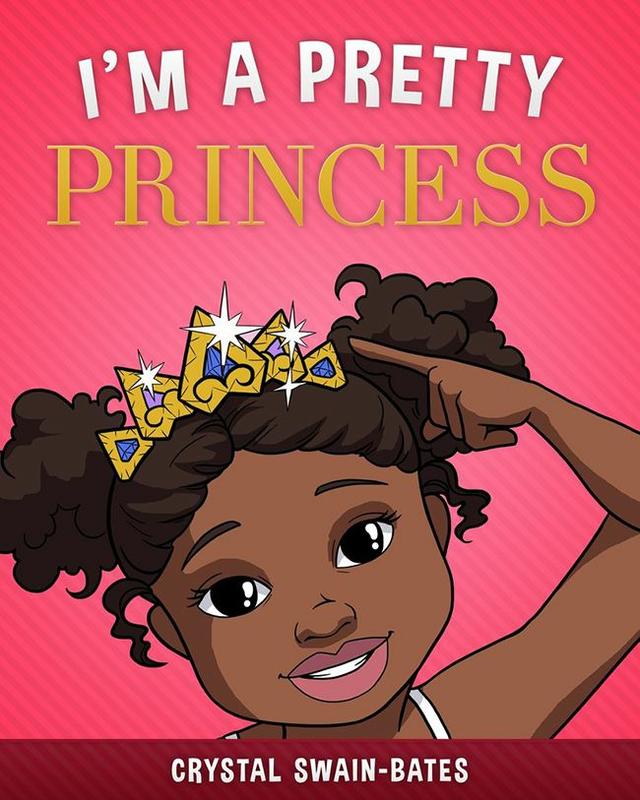 This is a picture book by Mechal Renee Roe that promotes positive self-esteem. Happy Hair shares love for different shades and hair types. Want your child to get in the habit of cleaning up after herself? 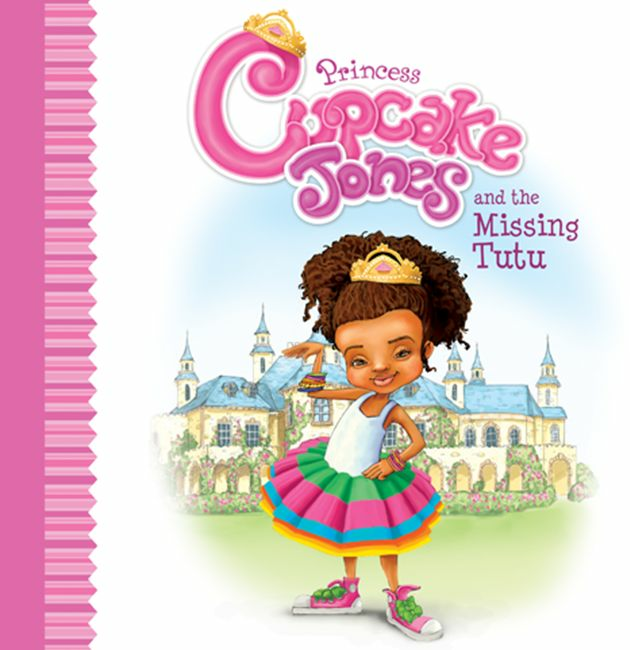 This story by Ylleya Fields is about Cupcake learning the importance of tidying up and putting things in their proper place when her tutu goes missing. What are your favorite children's books for your curly kiddos?